Councils are invited to attend a free one-day workshop provided by Local Government NSW to learn more about undertaking conservation value assessments of roadside areas using the Rapid Assessment Methodology (RAM)* and how to capture this data using the EcoRoadside App. use the EcoRoadside App to undertake field based assessments. Participants will also be provided with assistance in understanding the types of vegetation communities in their area and the dominant species they might encounter when assessing their roadside reserves. The training will include a practical in-field component assessing roadside reserve areas and capturing this data in the App. *The RAM provides councils with a tool to capture current information on the environmental characteristics of roadside reserves, including the generation of conservation values. Councils will then be able to use the information captured by the RAM to prioritise and manage their roadside reserves. For more information about the EcoRoadside App and for additional resources, see the Council Roadside Reserves section of LGNSW’s website. As part of their Driving Corridor Connectivity project, Central Tablelands Local Land Services has organised training for council staff to raise awareness of issues with the management of roadside reserves. The training is being facilitated by Chris Gray of Gems Consulting who has extensive experience is roadside vegetation management issues and specifically, Local Government operations. Develop an understanding of, and commitment to, minimising the risk on council road construction and maintenance sites, with a detailed focus on the protection, preservation and management of roadside vegetation. Places are limited to a maximum of 25 participants. 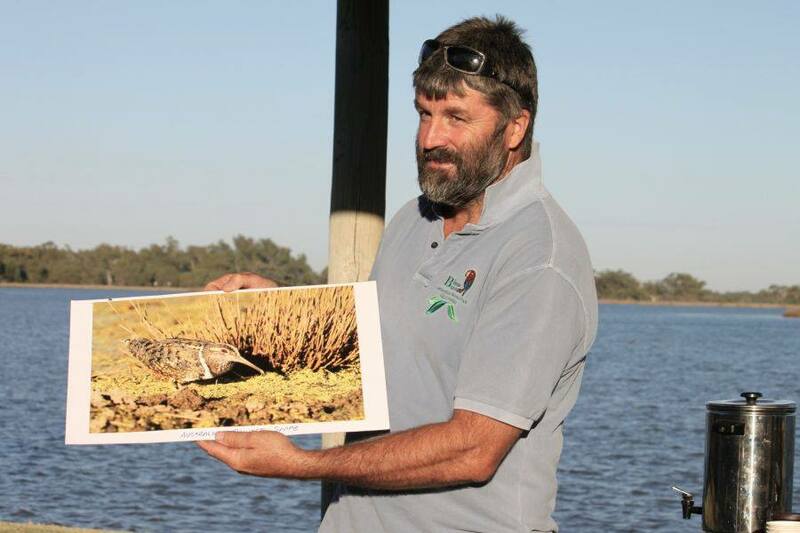 Condobolin & District Landcare present an early morning of bird & wildlife discovery with our local expert bird and wildlife photographer Warren Chad or 'Chaddy'. There will also be a presentation from Central West Local Land Services about finding and protecting populations of endangered species including the Small Purple Pea. The focus will be on identifying local birds and learning some of the endangered species and the threats they face, as well as conservation actions that can assist in preventing the disappearance of these species. Come and be one of the lucky group who will enjoy this bird and nature experience. Children are welcome to attend with supervision - why not have a family outing? Cooked breakfast will be served at the amenities block at 7:30am followed by a talk and walk around the Gum Bend Lake area. Numbers are limited so please book early. You will need to bring a pair of binoculars, a bird book (if you have one), a portable stool (if you need one), a camera and some patience. Cost is FREE but limited to 20 people so please RSVP early. RSVP by Friday 12th April to Libby Roesner to secure your place on 0499 199 018 or email condobolindistrictlandcare@gmail.com - please note any special dietary requirements. This project is supported by Central West Local Land Services, through funding from the Australian Government’s National Landcare Program. An informative presentation about finding and protecting populations of the endangered Small Purple Pea (Swainsona recta) which was once found throughout central NSW will be provided. Informing the community and landholders about the Small Purple Pea will assist with finding new or enhancing current populations.